Vodafone Group has entered a software licensing agreement with VMware, designed to offer increased access to a range of products, while supporting the global roll out of Network Functions Virtualisation (NFV) to help improve delivery of future products and services. Revealed at VMworld in Barcelona, the global carrier said it will deploy VMware vCloud NFV as part of its global transformation program using NFV and software-defined networking technologies across applications and networks. 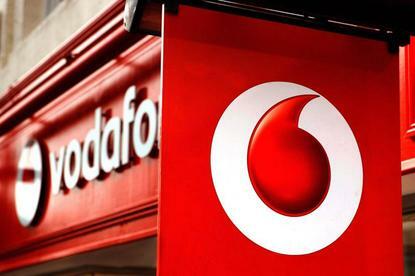 As part of this, Vodafone will also get carrier-grade support to implement the new software. Vodafone Australia is yet to confirm whether the agreement extends to the local market. Vodafone Group head of network virtualisation, Fran Heeran, said virtualised, cloud-native network functions were a critical element to its group-wide program as it evolves its networks and services, particularly with the introduction of 5G in three years time. “Reducing the time and cost to deploy and operate services, utilising automation and convergence in standardised cloud environments for our network and IT businesses is a critical part of our technology and operational transformation strategy,” Heeran said. VMware vCloud NFV will provide Vodafone with an ETSI-compliant, modular, multi-tenant NFV platform that supports choice in virtual infrastructure managers such as VMware and OpenStack. Also at the conference, IBM announced a new agreement with Vodafone in which it will offer an international service to enable enterprises to move VMware-based workloads on a Vodafone hosted private cloud to and from the IBM Cloud. Specifically, this will help Vodafone customers move their existing VMware workloads from on-premises to the cloud without incurring the cost and risk associated with re-tooling operations, re-architecting applications and re-designing security policies. In order to do this, it created a single virtual data centre to bridge between the Vodafone Hosted Private Cloud and IBM Cloud. VMware senior vice president of product development and cloud, Ajay Patel, said the new offering will enable businesses to use a globally consistent, common operating model for running, managing and securing their workloads across clouds. The conference also announced Dell EMC infrastructure products will be added into the IBM Cloud. The company boasted there were more than 1400 clients already using IBM Cloud for VMware solutions such as Honeywell International and Telstra. As part of this agreement, Dell EMC will also offer VMware vCentre Server on the IBM Cloud to its network of customers. Dell EMC and VMware also announced a new Dell EMC NFV Ready Bundle for VMware that contains pre-integrated and pre-validated Dell EMC cloud infrastructure hardware and the OpenStack ready VMware vCloud NFV platform. The bundle can be customised to meet specific deployment needs and provides communications service providers (CSPs) with the ability to deploy a NFV environment to help keep up with new technologies in the market. “VMware and Dell EMC are providing CSPs with the fastest path to OpenStack-ready production NFV solutions to support 5G roll out, accelerate new service delivery and improve overall economics and operations,” VMware telco group vice president and general manager, Shekar Ayyar, added. Furthermore, the vendors also announced the Dell EMC Ready solutions portfolio, aimed at service providers containing pre-validated, pre-tested solutions aimed at service provider environments and applications. The portfolio includes Ready Nodes comprising of individual Dell EMC platforms, which are typically PowerEdge servers based on Intel Xeon processors, outfitted with ecosystem partner software and Ready Bundles comprising multiple Dell EMC platforms made up of server, storage and networking elements, combined with ecosystem partner software. In addition, VMware also unveiled a new Cloud Verified trust mark, which will show partners that have made extensive investments in VMware cloud infrastructure technologies along with providing key services and support. Currently, some of these partners include CenturyLink, Fujitsu, IBM Cloud, OVH and Rackspace, with new partners set to be added to the mix to provide customers with more flexible solutions.